Donna always wanted a natural, bright and beautiful smile. Donna’s teeth were already white, and she was happy with her gums displaying on smiling, but she didn’t like how they were worn down, and had gaps between them. 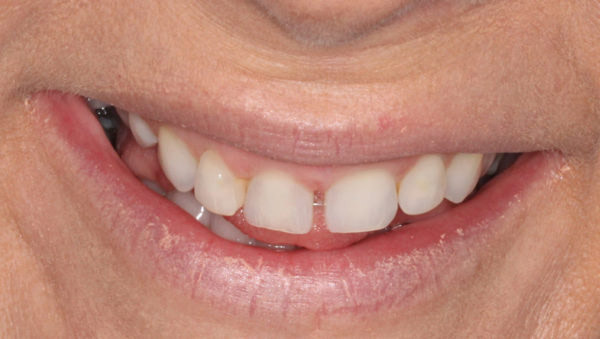 After having 9 porcelain veneers, Donna is thrilled with her new smile. The smile is first analysed with digital photography and converted into a trial of your smile that can then be reproduced in the mouth and amended to perfection, before the final result is created. With this way you can make sure you are completely happy with the desired changes and that we can make sure the changes are in complete harmony with your jaw and joints.